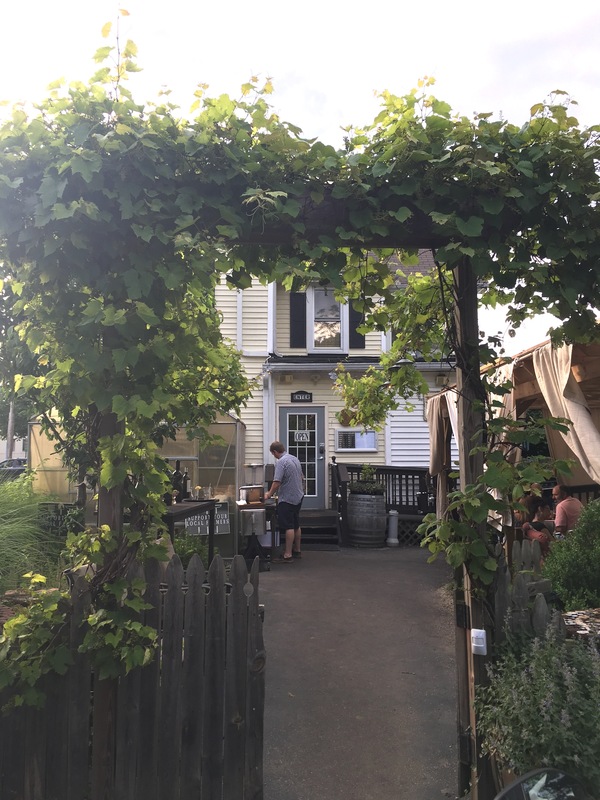 Wildflower Cafe and Coffee House – Go There. Try That. 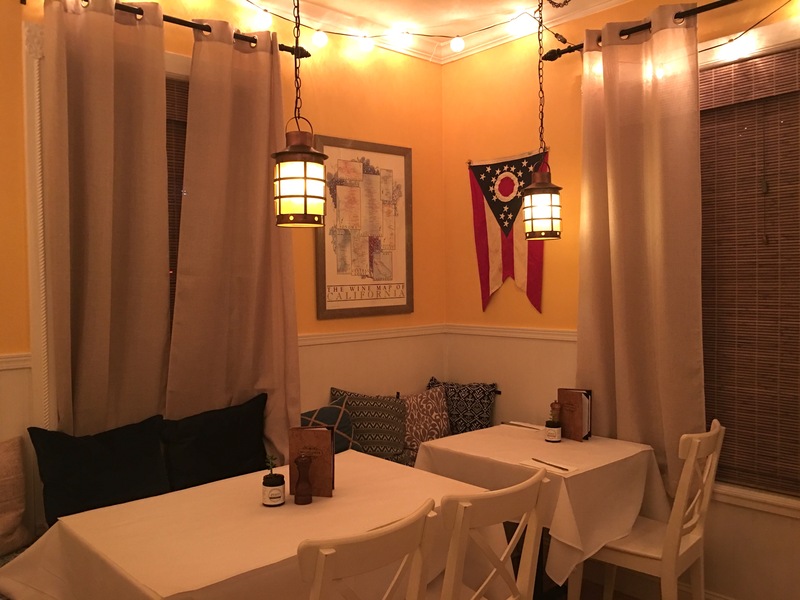 Located in Mason, in a quaint, yellow farm house, the Wildflower Cafe and Coffee House serves up an ever-changing menu inspired by the seasons. 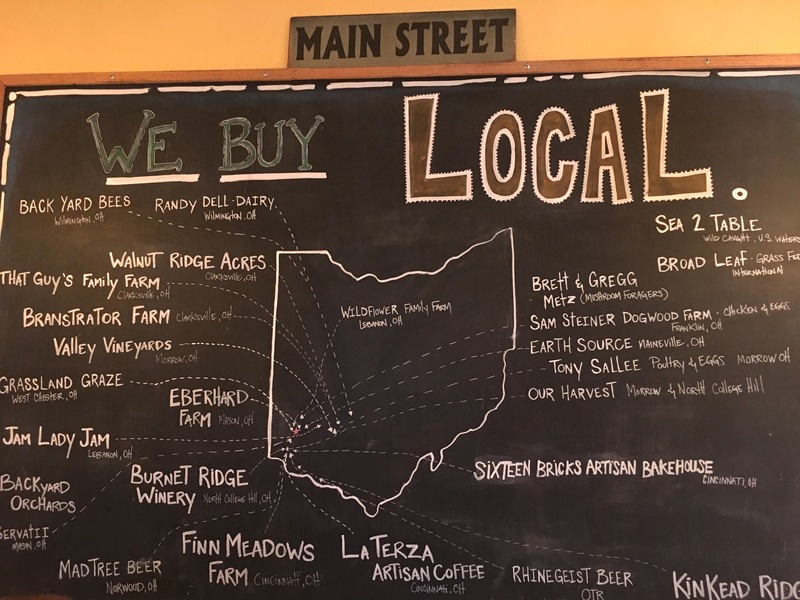 The food at this family owned and operated restaurant is fresh, farm-to-table, locally harvested, and hearty. The kitchen might be tiny, but the bites are big! No secret where the ingredients come from! 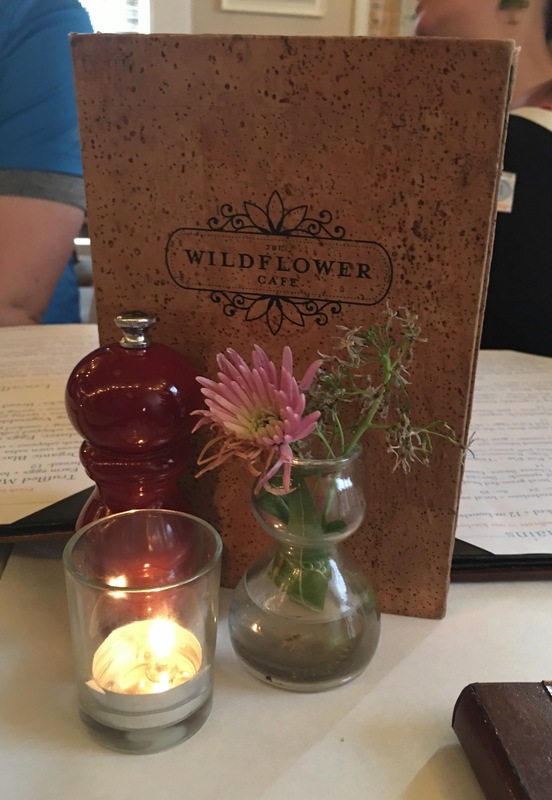 We stumbled upon Wildflower Cafe a few years ago after reading an article about best burgers in Cincinnati. Just so happens, we really were in search of the best burger in the city! We’d been to several places on this list, but never to Wildflower. 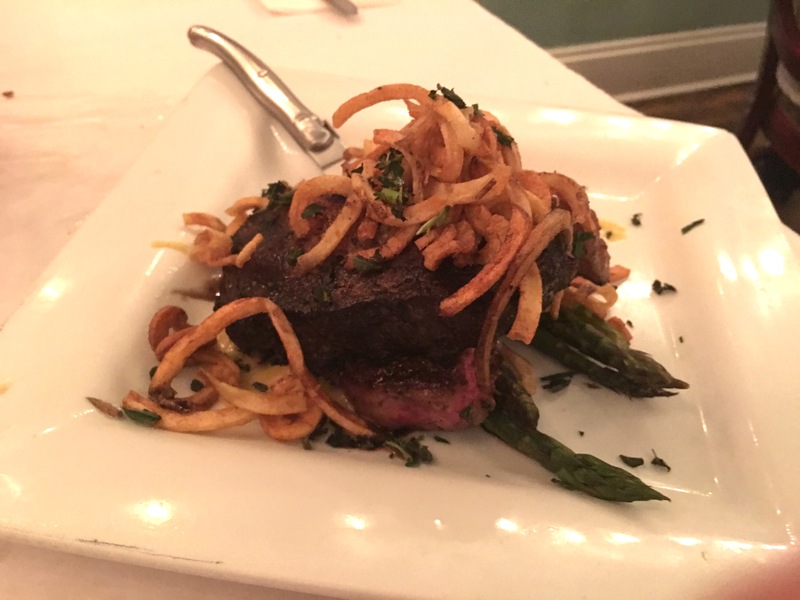 When we decided to check it out we were a little skeptical because it’s one of those all grass-fed beef deals, not there’s anything wrong with that, it’s just not necessarily what I think of in a big, juicy burger. But, we fell in love with the atmosphere and I have to say the burgers are freakin’ delicious. Thick, juicy, cooked medium, never dry and not too greasy. It’s an all around strong burger. We recently went back with a group of friends. Due to the size of our party, we had the top floor of this former residential farm house to ourselves; it was just big enough. Remember, this is a house converted into a restaurant. It’s the best of both worlds. Home + Comfort Food. It’s just a place where it feels good to eat! I couldn’t describe it better than my friend Amanda. She said, ” I am obsessed with the decor. It reminds me of a breezy, beautifully lighted, Southern charm of a place in Savannah. 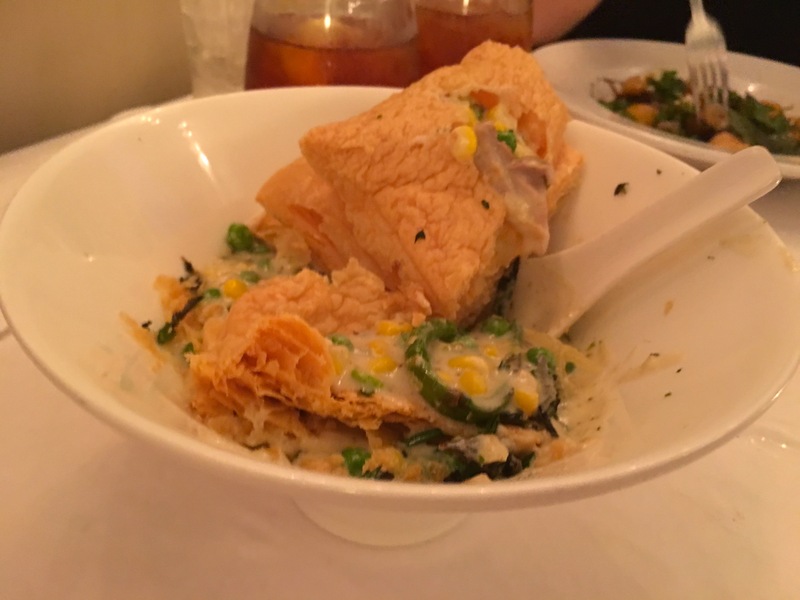 And I’d go back expressly to try that outdoor seating area.” Between all of us in our group, we ordered many different dishes; all positive reviews! 1) I think I just rattled off most of the menu and 2) we dug into that burger soooo quickly that I don’t have a pic (#bloggerfail)! Sorry friends. But, I will leave you with dessert! 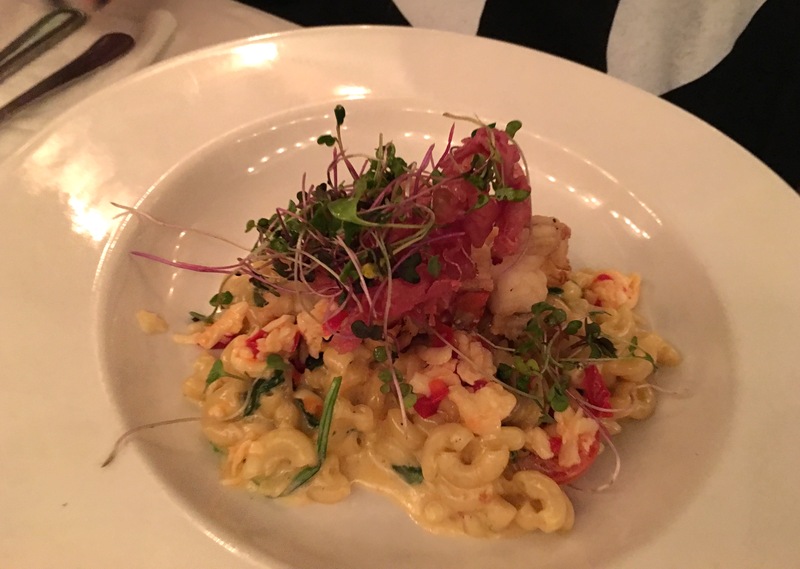 No great dinner is complete without it. We capped this night of friendship and food by sharing the Chocolate Peanut Butter Napoleon (chocolate ganache + peanut butter whip) and Grandma Hudson’s Bread Pudding (with bourbon butter). 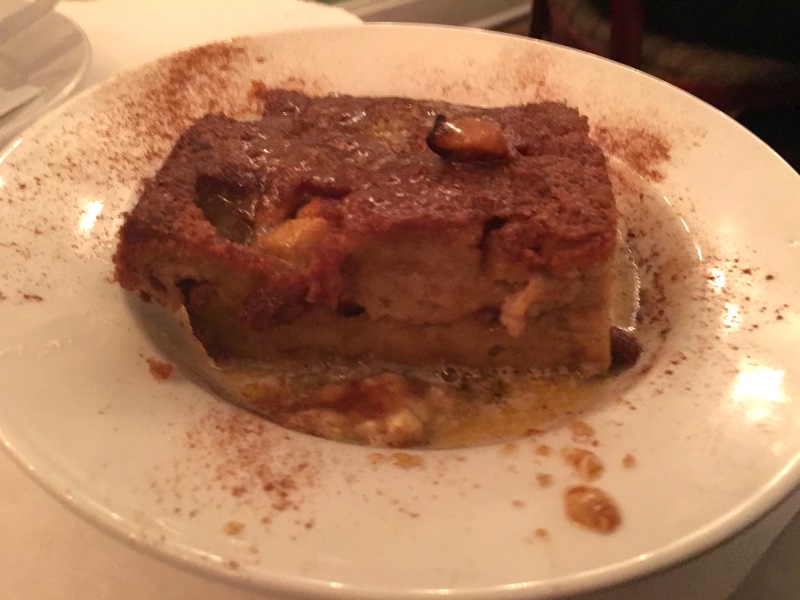 While I might have had dreams of bathing in that peanut butter whip, everyone raved about the bread pudding. By the way, notice that beautiful cup of La Terza coffee in the background of the pic below? Who said coffee is only a morning drink . . . lies! 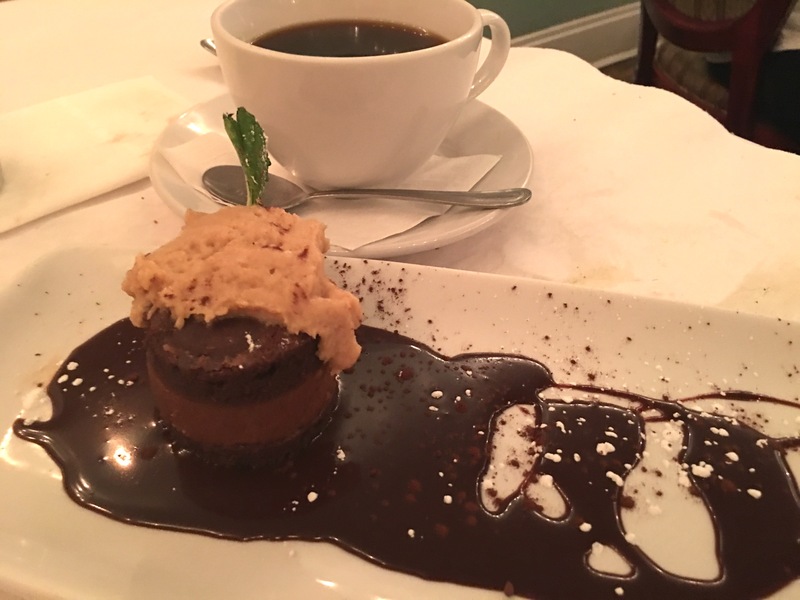 Nothing much better than coffee and dessert! Check out more of Wildflower Cafe’s sweet story here! And remember, make a reservation! Space is limited. GO THERE (Wildflower Cafe)! 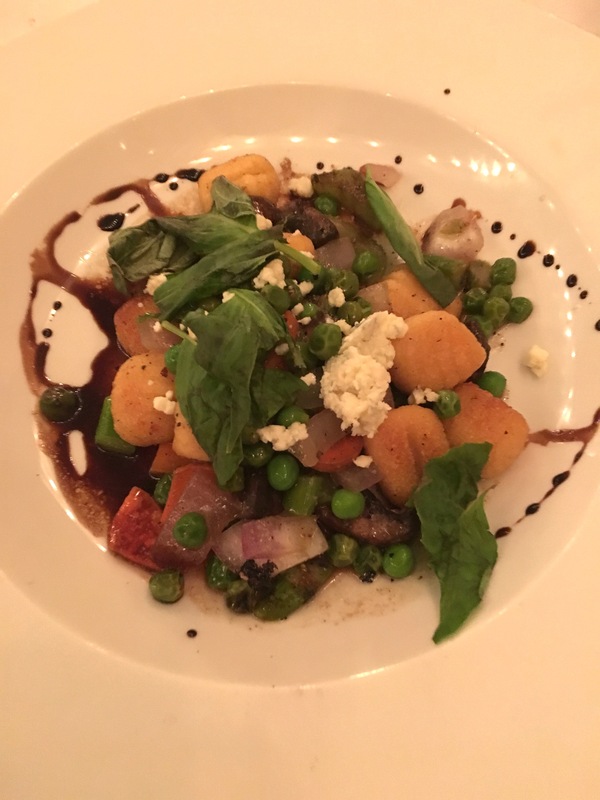 TRY THAT (Ribeye, Burger, Gnocchi, Pot Pie)! Let it Bee Honey + Giveaway Manitou Candle Co. It al looks lovely! Makes me want to go there. Yum!